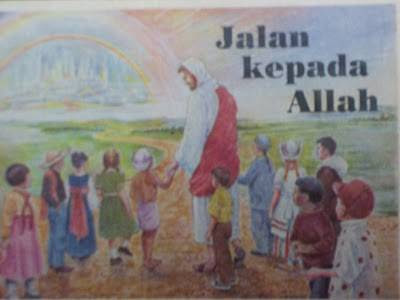 By now, Malaysians are generally aware that there have been disputes between the Muslims and the Christians from among them pertaining to the use of the key term “Allah” by the latter. Unfortunately however, it seems that of the whole controversy most Malaysians can be sure only of that much. The rest, judging from the many viewpoints and contentions raised thus far, seems convoluted and confused to them. Yet, if one is to be patient enough to gather and analyze with intelligence all the questions posed and answers accordingly offered, one may then be able to see a certain pattern of arguments, involving in turn several clusters of issues. It is pretty clear that the issue revolves around the “use” of the key term “Allah,” as it has been understood and used by the Malays in particular, to translate the word “God,” as used particularly in the Bible and as understood by the Christians. The issue as such pertains to the problem of CORRECT TRANSLATION and is thus primarily an issue of the CORRECT USAGE of a language—in this case, the Malay language in relation to the English language and, as Islam is also central to the discussion, the Arabic language. Comes then the next question: What kind of a term are the word “Allah,” on the one hand, and the word “God” as used in English in relation to the Bible, on the other hand? It is obvious that with regard to the way the Malays have been using the term “Allah” in accordance with what Islam has taught them, it is THE “PROPER NAME” FOR THE ONE AND ONLY GOD WITH ALL THE NAMES AND ATTRIBUTES NECESSARY AND PROPER FOR HIM and, just like any other proper name, it cannot be translated but rather should be basically maintained as such. Similarly, the Arabic sentence “Wahid ismi,” or “Wahid akhi,” in all likelihood will not be translated into English as “One is my name,” or “One is my brother,” but instead will be rendered as “Wahid is my name,” or “Wahid is my brother,” respectively. On that ground, therefore, one is fully justified to query whether it is correct to translate the respective proper name in the original Bible, if there is any, as “Allah,” let alone if the name concerned is actually merely an appellative noun or a title or, worst still, a general noun. Furthermore, the very fact that the Christians themselves have not till today reached a consensus as to how to use the term “Allah,” whether in their many translations and versions of the Bible or in their general usage of it, simply demonstrates how contentious and controversial such a usage—particularly pertaining to God’s proper name—has been among them, totally unlike the Muslims who, regardless of sects, schools, race or language, have been unanimous in holding that “Allah” is His Proper Name. Regarding “Allah” as a proper name, one may further ask whether or not it is derived from any other more basic Arabic word. Here, notwithstanding certain views which did not survive the rigorous intellectual tests throughout the Islamic Religious and Intellectual History, the established and verified position of the Muslims has always been that the term is not an Arabic derivative but is itself revealed by The One and Only God to humankind through His chosen messengers, Who knows Himself what His Name truly is and without Whom so revealing, man would still be in the dark as to how to correctly call and address Him. It is therefore pertinent here that one be fully cognizant of the criteria for a term or word to qualify as a proper name, particularly when it concerns the fundamentals of a religion, especially God: (1) the term needs to be clearly stated in the primary source of the respective religion (as an example, the Qur’an and the Prophetic sayings in the case of Islam and with regard to the term “Allah”); (2) it does not entertain being plural, both in sense and in reference, in connotation as well as in denotation (unlike “gods,” for instance); (3) it has been used as such by all the adherents of the religion concerned (for example, the Muslims in regard to the term “Allah”); (4) it is exclusive to God and never others. As to the argument that the term “Allah” had been used even before the revelation of the Qur’an and the dawn of Islam, the aforementioned position of the Muslims as it is is not necessarily opposed to such a contention. Yet, since the contention is primarily a historical one, one cannot simply rely on logic to prove it but rather one should resort to established and authentic historical evidence to support it. And such historical evidence should at least shed some light on (1) whether or not the term “Allah” was then used by Christians who shared more or less the same beliefs and practices with the present-day Christians, particularly in Malaysia, and (2) whether or not the term “Allah” was then solely used as a proper name. Otherwise, the only historical evidence one can reliably rely on is the Qur’an and the sayings of the Prophet Muhammad (p.b.u.h.) in which the term “Allah” is employed purely as a proper name. As to the many versions of the earlier Malay translations of the Bible, which have been taken to be among the historical proofs to justify the term “Allah” being used as such in its present-day translation, it is particularly noteworthy that they were mainly attempted by the non-Malays—to be more specific, started by the colonialists—whatever their real intentions were. And to regard as prototypical the usage of a term in a language by a non-native, let alone by one who colonized, in cases where it conflicts with the way the native speakers have been using it surely calls into question the validity of such a position, to say the least. Unless the answers to all the aforementioned questions and issues vindicate without any ambivalence the position which certain segments of the Malaysian Christian community have been taking, the only sensible way forward in the Malaysian multiracial and multireligious context is for the parties who have committed such linguistic errors to correct them wherever applicable and appropriate. Moreover, in dealing with such issues, it is indeed important that the parties involved, regardless of whether they are Muslims or Christians, abide themselves by the basic rules of correct reasoning which, needless to say, involve the law of non-contradiction and the law of the excluded middle, wherever relevant. In addition, they also need to begin from what is clear and established. It really defeats their purpose if they choose rather to start from what is ambiguous and contentious. And despite some parties claiming that logic or reason has a very limited role in solving the controversy, I on the contrary believe that it can play a pivotal role in helping us delineate the main issues from the non-issues, identify the real problems from the pseudo—albeit distracting—ones, sort out the primary, secondary and totally unrelated matters, separate the fundamental questions from such which are trivial or, at best, non-essential. HAKIM menjemput semua pencinta ilmu untuk menyertai program ini, khususnya kepada individu-individu yang berminat untuk menyumbang wang dan tenaga serta memberikan komitmen bagi membantu HAKIM menjayakan misi dan visi penubuhannya. (Felo Penyelidik di Institut Alam dan Tamadun Melayu (ATMA), Universiti Kebangsaan Malaysia). Setelah isu ini dibahas hampir dua tahun masih ramai lagi yang keliru tentang penggunaan nama Allah oleh orang bukan Islam. Antara sebabnya ialah wujudnya pandangan yang diberikan oleh beberapa cendekiawan yang digelar ulama’ yang mengatakan bahawa terdapat dalil dalam al-Qur’an yang membenarkan hal tersebut. Dan tiadanya dalil yang menyokong larangan penggunaan oleh bukan Islam. Penulis telah berkesempatan untuk mengikuti isu ini dan memberi tanggapan sejak dari awal lagi dan menghasilkan 3 artikel sebelum ini yang boleh dicapai dalam khairaummah.com. Dalam makalah terakhir ini penulis cuba menjawab keraguan-keraguan yang ditimbulkan dan memberikan hujah-hujah yang muktamad agar kecelaruan tidak berterusan dan kepentingan umat Islam dapat dipertahankan. Dengan penjelasan yang terbaik yang penulis dapat paparkan ini mudah-mudahan terbuka hati dan bertambah yakin orang-orang yang inginkan kebenaran berdasarkan hujjah dan biarkanlah tertutup hati orang-orang yang tidak mahu menerima kebenaran walaupun datang dengan hujjah. Sebelum pergi jauh perlu difahami terlebih dahulu maksud persoalan di atas. Ia bukan persoalan tentang siapakah Tuhan orang bukan Islam, kerana jelas bagi kita Tuhan bagi semua umat manusia hanya satu iaitu Allah. Ia juga bukan berkaitan dengan orang Arab bukan Islam di negara-negara Arab kerana persoalan ini muncul dalam konteks Malaysia, dan hanya relevan dengan negara-negara bukan Arab. Maka maksud persoalan di atas adalah merujuk kepada orang bukan Islam di Malaysia bukan di negara-negara Arab. Perbezaan konteks ini sangat penting kerana ia juga bermakna perbezaan bahasa yang digunakan oleh bangsa yang berlainan. Orang bukan Islam di Malaysia tentunya bukan orang Arab. Dari sini sahaja dapat disimpulkan bahawa penggunaan nama Allah bagi orang bukan Islam di Malaysia tidak relevan kerana mereka tidak pernah menggunakannya bahkan tidak mengerti pun maksudnya. Orang bukan Islam di Malaysia tidak mengenal bahasa Arab, maka perkataan Allah adalah perkataan yang asing dalam kehidupan mereka. Perlu juga ditegaskan dengan kalimat ‘menggunakan’ di atas yang dimaksudkan adalah menamakan atau menggunakan nama Tuhan orang Islam bagi merujuk Tuhan mereka. Di sini dapat disimpulkan bahawa faham pluralisme agama terkandung dalam usaha ini. Daripada perkataan ’menggunakan’ di atas maka tidak timbul isu sekadar penyebutan nama Allah oleh bukan Islam dengan maksud merujuk kepada Allah sebenar. Tidak sepatutnya timbul pernyataan apa salahnya orang bukan Islam menyebut nama Allah kalau yang dimaksudkan itu benar. Mereka boleh sahaja menyebut, membaca, nama Allah yang menjadi persoalan di sini adalah penggunaan istilah yang sama / pemberian nama yang sama bagi Tuhan yang berlainan. Jika persoalan telah jelas difahami dengan betul maka jawaban terhadap persoalan juga diharapkan akan lebih terfokus. Untuk memudahkan lagi orang awam boleh juga dipertanyakan dalam bentuk yang sedikit berbeza iaitu bolehkah orang bukan Islam menamakan Tuhan mereka Allah? Terdapat kecenderungan di kalangan umat Islam, tidak terkecuali ulama’nya, untuk menyederhanakan persoalan rumit dan besar ini. Bagi sesetengah orang ini hanyalah persoalan perebutan nama. Atau ia hanyalah berkaitan dengan sebutan, luaran yang tidak perlu dihubungkaitkan dengan persoalan Akidah dan keyakinan umat Islam. Menurut prof. Wan Mohd Nor walaupun kelihatan masalah nama dan bahasa ini sederhana tetapi melalui bahasalah pandangan alam (worldview) terbentuk. Perubahan pada bahasa dengan merubah maknanya akan memberi kesan yang besar kepada perubahan pandangan alam dan seterusnya keyakinan dan amal ibadah orang Islam. Untuk menjawab persoalan ini pertama sekali perlu dijelaskan bahawa konteks masyarakat Melayu dengan masyarakat Arab berbeza. Perkataan Allah adalah perkataan Arab yang telah wujud sebelum kedatangan Islam oleh nabi Muhammad saw. Orang bukan Islam yang datang ke negeri Arab, baik Yahudi mahupun Nasrani, telah menggunakan kalimat Allah untuk merujuk kepada Tuhan mereka selama lebih 1400 tahun yang lalu kerana bahasa Arablah bahasa yang mereka gunakan. Jika orang bukan Islam dalam masyarakat Arab hari ini masih menggunakan nama Allah maka hal ini wajar dalam konteks tersebut, kerana mereka tidak mengalami Islamisasi dan sehingga ke hari ini masih mengguanakan bahasa Arab. Dalam konteks Malaysia yang bahasanya bukan bahasa Arab, dan orang bukan Islam yang bukan orang Arab, maka penggunaan nama Allah oleh mereka adalah sesuatu yang janggal. Sesuatu yang dipaksakan, yang sengaja ditimbulkan untuk tujuan-tujuan yang tidak baik. Oleh itu jika di negara-negara Arab hal ini dibenarkan, melihat kepada fakta sejarahnya, ia tidak boleh dijadikan ukuran untuk membenarkan hal yang serupa berlaku di Malaysia dan di negara-negara bukan Arab. Sesetengah orang Islam yang keliru dalam menanggapi isu ini berhujah bahawa dalam al-Qur’an ada disebutkan bahawa orang Yahudi mendakwa ‘Uzair itu anak Allah’, dan orang Nasrani mendakwa bahawa ‘al-Masih itu anak Allah’ (lihat surah al-Tawbah: 30). Sebenarnya jika diperhatikan dengan teliti dan dengan mengambil kira perbezaan bahasa, yang mereka katakan sebenarnya tidaklah betul-betul sama seperti itu, kerana dalam bahasa mereka, iaitu bahasa Ibrani, perkataan yang mereka gunakan sebenarnya adalah Uzair itu anak Tuhan (Yahweh/ Elohim), dan al-Masih itu anak Tuhan (Yahweh/ Elohim), tidak ada perkataan Allah dalam bahasa mereka. Al-Qur’an sebenarnya menterjemahkan kata-kata mereka yang tentunya bukan dalam bahasa Arab tetapi dalam bahasa mereka sendiri, iaitu Ibrani, untuk difahami oleh orang Arab atau orang Islam. Oleh kerananya perkataan yang digunakan adalah Allah kerana Allah dari segi bahasa adalah Tuhan. Penggunaan dalil seperti ini oleh golongan ini menunjukkan sikap yang sembrono dan kurangnya kehati-hatian. 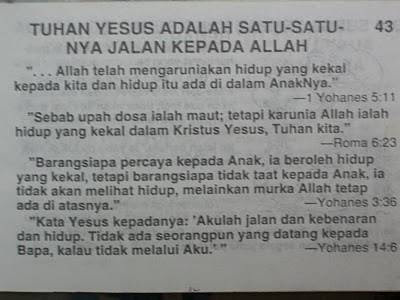 Sememangnya Allah adalah Tuhan semua nabi dan rasul. Tetapi Allah bukanlah Tuhan yang disembah oleh orang Yahudi dan Nasrani. Dengan penyelewengan yang berlaku dalam agama tersebut mereka tidak lagi beriman kepada Allah. Jadi mereka tidak boleh mendakwa diri mereka beriman kepada Allah. Maka dari itu sesuatu yang melambangkan ketidakcerdasan dan kenaifan apabila ada sesetengah orang berkomentar dalam isu ini “al-hamudillah, akhirnya orang bukan Islam percaya Allah itu Tuhan mereka”. Di sinilah pentingnya kita memahami iman, Islam dan Din dengan mendalam. Sebagaimana ditegaskan oleh al-Attas, iman dan Islam tidak hanya cukup dengan dakwaan percaya kepada Allah tetapi mestilah tunduk dan patuh dengan sebenar-benarnya (real submission and true obedience) kepada perintah dan suruhan Allah dengan mengikuti Rasulullah saw (al-Attas, Prolegomena: 54-56). Untuk memahami dengan baik ayat-ayat al-Qur’an berkaitan nama Allah, perlu difahami terlebih dahulu bahawa dalam al-Qur’an ada dua bentuk penggunaan perkataan Allah, pertama yang umum merujuk kepada maknanya dari segi bahasa; kedua yang khusus merujuk kepada penggunaannya secara teknikal (istilahi). 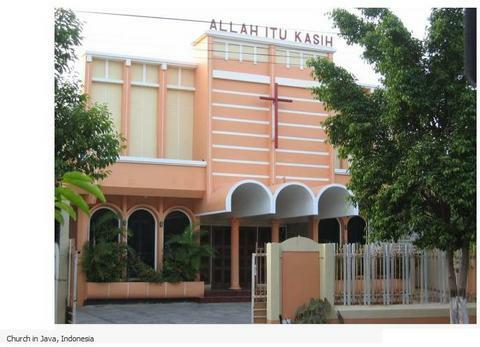 Hal ini tidak ekslusif pada kalimah Allah sahaja tetapi juga kalimah-kalimah lain seperti solat, bahkan kufur juga. Penggunaan yang umum biasanya merujuk kepada masyarakat bukan Islam. Sedangkan penggunaan yang khusus merujuk kepada pemahaman masyarakat Islam yang telah dibentuk akidah mereka. Penggunaan yang khusus lebih banyak daripada penggunaan yang umum, ini selaras dengan banyaknya ayat-ayat yang turun merujuk kepada tahap intensif Islamisasi. Tahap Islamisasi yang intensif sebenarnya berlaku di Makkah lagi apabila konsep-konsep mendasar dan penting dijelaskan dengan panjang lebar. Dalam konteks inilah ayat-ayat seperti dalam surah al-Ikhlas, al-Kafirun, ayat Kursi dll. diturunkan agar konsepsi yang jelas tentang Tuhan dapat difahami dan dihayati oleh kaum Muslimin. Umat Islam yang telah mengalami proses Islamisasi, baik di Arab mahupun di alam Melayu, mempunyai konsepsi yang jelas tentang Allah. Konsepsi yang jelas ini adalah kesan proses Islamisasi selama lebih 1400 tahun di Arab dan lebih kurang 1000 tahun di alam Melayu. Islamisasi berlaku apabila nama-nama atau istilah-istilah yang telah wujud sebelum Islam diberikan makna baru. Proses Islamisasi ini telah menjadi garis pemisah antara Islam dengan kufur. Dalam konteks nama Allah ini Islamisasi telah memisahkan Allah dengan tuhan-tuhan yang lain. Walaupun ia adalah sebuah nama bagi Tuhan, tetapi ia bukan sembarangan nama kerana maknanya sarat dengan perbezaan teologi yang mendasar dengan nama-nama tuhan yang lain. Adalah sesuatu yang malang jika umat Islam membenarkan orang bukan Islam, sedangkan ia berkuasa untuk melarangnya, konsepsi tentang Allah ini menjadi dangkal kembali. Jika ini berlaku bermakna umat Islam hari ini telah membenarkan berlakunya deislamisasi. Suatu langkah mundur 1000 tahun ke belakang. Kalimah la ilaha illa Allah yang bermaksud tiada tuhan melainkan Allah, dengan pendangkalan makna di atas maka kalimat tauhid ini akan bermaksud tiada tuhan melainkan Tuhan, walaupun bukan ini yang dikehendaki dalam Islam dan oleh para ulama’nya tetapi inilah maksud yang sah pada mata umum. Dengan demikian kalimah Tawhid yang seharusnya mempunyai kesan dan implikasi yang besar dalam kehidupan seorang Muslim akan menjadi bertindih, wujud percanggahan (incoherence) dan tidak memberi makna yang signifikan. Masyarakat Jahiliyyah yang Menyebut Allah. Memang pada zahirnya ayat tersebut menyatakan bahawa orang Quraish jahiliyyah pada hakikatnya percaya bahawa Allah adalah Tuhan mereka. 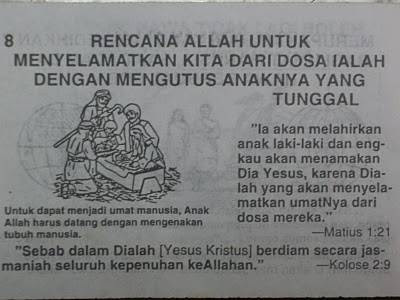 Namun sebagaimana disebutkan di atas yang dimaksudkan dengan kalimah Allah di atas bukan kata khusus tetapi kata umum. Faktanya, kalimah Allah telah digunakan oleh masyarakat Jahiliyyah sejak sebelum Islam, maka tidak mungkin al-Qur’an menggunakan perkataan lain bagi merujuk kepada Tuhan. Jadi ketika ia menceritakan apa yang dipercayai oleh orang bukan Islam maka al-Qur’an mengatakan bahawa mereka percaya akan wujudnya Tuhan, bahawa Tuhan lah yang menciptakan segalanya. Ini kerana secara alamiahnya konsep Tuhan telah ada dalam diri manusia sejak mereka dilahirkan di dunia. Tawhid datang melalui para Rasul untuk mengajarkan umat manusia siapa Tuhan itu sebenarnya. Dengan risalah Tawhid ini manusia dibebaskan daripada kepercayaan politeisme, dinamisme dan animisme. Kedatangan nabi Muhammad saw walaupun sebagai kesinambungan dari nabi-nabi sebelumnya tetapi juga untuk meluruskan penyimpangan akidah dalam agama Yahudi dan Nasrani. Jadi penggunaan nama Allah oleh masyarakat Jahiliyyah adalah penggunaan yang umum yang hanya bermaksud Tuhan kerana demikianlah erti Allah dari segi bahasa. Tetapi setelah kedatangan Islam penggunaan umum ini tidak relevan bagi masyarakat Islam dan masyarakat bukan Islam yang bukan Arab pada hari ini. Maka ayat di atas sebenarnya tidak sama sekali membenarkan orang bukan Islam di negara ini menggunakan nama Allah untuk Tuhan mereka. Kerana Arab jahiliyyah telah memiliki kalimah Allah ini sebelum Islam datang sedangkan orang bukan Islam di negara ini, dan di negara selain Arab, tidak mengenal kalimah ini. Kesimpulannya adalah satu pembohongan apabila ada yang mengatakan bahawa terdapat dalil yang membenarkan orang bukan Islam menggunakan nama Allah. Terdapat kekeliruan yang besar apabila sebahagian ilmuwan dan orang awam cenderung mempertanyakan dalil atau nas bagi setiap persoalan yang timbul. Kelompok literal dan rigid ini ketika melihat ada sebahagian ayat al-Qur’an yang secara literalnya seolah-olah membenarkan penggunaan nama Allah oleh bukan Islam maka secara terburu-buru tanpa meneliti dengan mendalam maksud ayat-ayat tersebut dan perbezaan konteksnya lalu terus mengambil kesimpulan bahawa orang bukan Islam boleh menggunakan nama Allah. Perlu dijelaskan bahawa tidak semua persoalan perlu ditanyakan apakah dalilnya, jika ada nas maka barulah sesuatu dapat diperkatakan jika tidak maka ia hanyalah pandangan yang relatif, boleh ditolak atau diterima. Hakikatnya selain nas, ada ilmu yang diwariskan oleh para ulama. Inilah yang dimaksudkan bahawa ulama itu pewaris nabi. Bahawa mereka itu mewariskan ilmu yang diperolehi oleh nabi (hadith). Kelebihan ilmu ini jugalah yang membezakan si jahil dengan orang alim. Orang jahil boleh sahaja berhujah dengan ayat dan hadith tetapi dia tidak tahu pasti bagaimana ayat dan hadith itu difahami dan digunakan. Kita tahu bahawa ayat-ayat al-Qur’an terhad dan permasalahan yang timbul sentiasa bertambah. Seorang mujtahid, ulama atau pemikir, perlu dapat memberikan jawapan bagi setiap persoalan berdasarkan ayat-ayat al-Qur’an dan hadith yang terhad itu. Di sinilah letaknya kedinamikan Shari’ah, sehingga ia sesuai diterapkan sepanjang masa. Mereka harus dapat merumuskan prinsip-prinsip baik tersurat mahupun tersirat daripada al-Qur’an dan Sunnah. Berdasarkan prinsip-prinsip inilah mereka cuba menyelesaikan permasalahan-permasalahan yang timbul. Oleh itu kemampuan yang perlu ada pada seorang mujtahid bukanlah mengeluarkan ayat-ayat atau hadith dalam menanggapi sesuatu persoalan tetapi kebijaksanaan yang terbit dari kefahamannya yang mendalam terhadap al-Qur’an dan Sunnah serta karya-karya ulama terdahulu (al-Turath). Malangnya hari ini yang berpandukan kepada kewujudan dalil bukan hanya orang awam tetapi mereka yang mendabik diri mereka ulama. Mereka mencari dalil, walhal ini adalah persoalan baru yang memerlukan pemikiran yang mendalam. Sepatutnya yang ditanyakan bukan apakah dalilnya tetapi apakah hujahnya? Ketika suatu persoalan itu tidak ada dalil yang qat’i mengenainya tidak bermakna kita tidak memiliki hak untuk memberikan kata putus dalam hal tersebut. Oleh kerana itu dalam persoalan nama Allah ini ulama fiqh bukan pakarnya. Mereka terbiasa dengan pencarian dalil dalam mengistinbatkan hukum. Ini persoalan usuluddin atau ilmu tawhid. 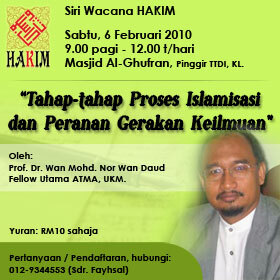 Seseorang yang ingin membahas isu ini perlu menguasai teologi, ilmu kalam, epistemologi Islam, falsafah Islam dan metafizik Islam. Persoalannya bukan apakah hukumnya halal atau haram tetapi lebih penting dari itu apakah kesannya terhadap akidah seorang Muslim? Walaupun sepatutnya mujtahid menguasai kedua bidang ini, Shari’ah dan Usuluddin dengan baik, namun realitinya pada hari ini jarang hal itu berlaku. Menyedari kerumitan masalah ini dan skopnya yang melampaui hukum-hakam, maka ilmuwan Fiqh bukanlah orang yang patut menjadi rujukan dalam persoalan ini. Kecenderungan hari ini menampakkan bahawa ulama fiqh dapat menjawab segala persoalan. Ataupun semua persoalan adalah persoalan fiqh. Hakikatnya tidak semua persoalan dapat dikategorikan sebagai hukum hakam dan bukan semua persoalan dapat dipecahkan dengan kaedah fiqh. 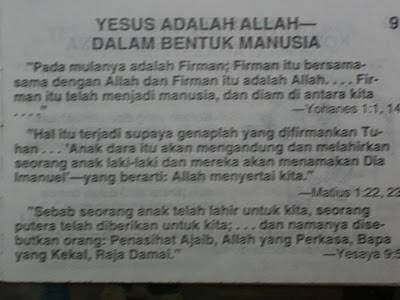 Persoalan nama Allah ini menunjukkan bahawa ada perkara-perkara yang memerlukan kepada kekuatan hujah yang memerlukan perenungan, kefahaman yang mendalam dan kebijaksanaan yang tinggi dan bukan hanya pencarian dalil dan pemahaman yang literal. Tampak jelas bahawa terdapat kecenderungan yang meluas ketika ini sikap literal dan tekstualistik dalam memahami Islam. Golongan ini kononnya mengikuti hanya al-Qur’an dan al-Sunnah dan tidak merasa perlu untuk mengikuti pandangan para ulama. Golongan pseudo-salafi ini mengatakan jika tiada nas atau dalil maka apapun yang diutarakan hanyalah pandangan yang relatif kerana ia berdasarkan kepada akal fikiran manusia yang boleh ditolak dan boleh diterima. Sebenarnya dalam banyak hal kita perlu menggunakan kebijaksanaan kita dan bukan bersikap literal dan tekstualistik. Tidak semua perkara perlu dikemukakan soalan apakah ada dalil atau nas tentang hal itu? Jika tiada maka kita tidak berhak mengatakan ianya tidak boleh. Kalau ada dalil, yang secara zahirnya membenarkan, tanpa perlu melihat maksud dan konteksnya maka keputusan terus diambil tanpa berfikir panjang. Tidak wajar ditanyakan contohnya apakah dalilnya pluralisme agama haram, liberalisme, feminisme dsb? Sikap literal dan tekstualistik ini menyebabkan sebahagian orang bersikap ekstrim dan rigid (kaku) contohnya segolongan mengongkong isteri mereka dari keluar rumah, dengan alasan adanya nas al-Qur’an yang memerintahkan seperti itu. Ada yang berpandangan bahawa kerana ilmu itu milik Allah, sebagaimana ditegaskan dalam al-Qur’an, maka cetak rompak dan plagiarisme dibenarkan. Bahkan golongan ekstrimis yang banyak melakukan keganasan juga menggunakan ayat al-Qur’an yang menyuruh membunuh orang kafir tanpa memahami konteksnya dan dalam keadaan apa ayat itu berlaku. Semua pendekatan ini sangat bersalahan dengan suruhan al-Qur’an dan di samping itu akan memberi kesan negatif kepada kebijaksanaan orang Islam. “Akal itu umpama penglihatan yang selamat dari cacat cela, dan al-Qur’an itu umpama matahari yang menyinari jagat raya, dengan keduanya seseorang dapat memperolehi hidayah. Seorang yang mengambil salah satunya tergolong dalam orang-orang yang bodoh, orang yang menolak akal hanya cukup dengan cahaya al-Qur’an sama kedudukannya dengan orang yang mendapatkan cahaya matahari tetapi menutup hati, maka tidaklah berbeza dia dengan orang yang buta. Maka akal dengan Shara’ adalah cahaya di atas cahaya”. (Al-Iqtisad fi al-I’tiqad: 4). “Akal itu syarat dalam mencapai ilmu pengetahuan dan kesempurnaan amal soleh, dengannya akan sempurna ilmu dan amal. Ia seperti kuatnya penglihatan bagi mata maka ketika bertemu dengan cahaya iman dan al-Qur’an maka umpama bertemunya cahaya mata dengan cahaya matahari dan api dan jika mencukupi dengan salah satunya tidak akan dapat seseorang itu memahami segala sesuatu”. (Majmu’ Fatawa: 3:338). Bahkan ulama’-ulama usul fiqh sendiri mengiktiraf penggunaan akal apabila mereka menjadikan qiyas, istislah, istihsan, masalih mursalah, dan sadd al-zari’ah sebagai sumber hukum sekunder. Di sinilah bermulanya perbezaan antara golongan pseudo-salafi dengan Ahl al-Sunnah wa al-Jamaah di mana golongan pseudo-salafi ini cenderung rigid terhadap nas dan menolak penggunaan akal dan kebijaksanaan. Kelompok yang membenarkan orang bukan Islam menggunakan nama Allah kemudian mengenakan syarat kepada orang bukan Islam supaya tidak menyalahgunakan kebenaran tersebut untuk mengkristenkan orang Islam. Ada juga yang memberikan panduan bagaimana orang bukan Islam menggunakan nama Allah. Justeru ini membuktikan adanya kecelaruan (incoherency) dalam cara berfikir mereka. Pertama sekali tidak ada alasan orang bukan Islam untuk mendengar nasihat kelompok ini, kerana mereka sendiri tidak mewakili umat Islam apalagi untuk mempengaruhi orang bukan Islam. Kedua, sesuatu yang tidak masuk akal, melihat sejarah kristianisasi yang begitu dahsyat di alam Melayu ini, mereka akan akur dengan nasihat orang yang dikatakan ‘ulama’ ini. Orang Kristian telah memperjuangkan isu ini dengan bersungguh-sungguh dan mereka amat gembira apabila keputusan mahkamah tinggi memihak kepada mereka, sebahagiannya dikeranakan wujudnya perbalahan di kalangan ilmuwan Islam sendiri. Kemenangan ini bagi mereka menunjukkan kebenaran dakwaan mereka bahawa semua agama pada hakikatnya sama, menyembah Tuhan yang sama. Maka kebenaran menggunakan nama Allah akan menjadi satu pencapaian besar bagi orang Kristian. Hakikatnya ia akan memudahkan lagi proses kristianisasi orang-orang Islam. Kristianisasi ini walaupun tidak dibenarkan dari segi undang-undang tetapi telah berjaya memurtadkan ramai golongan remaja di negara ini. Bagi umat Islam ia adalah satu kerugian yang sangat besar. Islam tidak akan rugi, berkurang atau rendah kerana hal ini tetapi umat Islam akan semakin terhimpit. Kefahaman masyarakat terhadap akidah Islam akan semakin menipis. Kekeliruan akan semakin merajalela. Kerana dari bahasa pandangan alam akan berubah. Deislamisasi banyak berlaku melalui proses pendangkalan makna. Pendangkalan seperti Islam hanya kepada berserah diri, iman hanya menjadi percaya kepada Allah. Oleh kerananya ramai orang bukan Islam mengaku diri mereka muslim dan mukmin (dengan m kecil), kerana mereka juga berserah diri dan percaya kepada Allah, yang kini cuba didangkalkan maknanya hanya bermaksud Tuhan. Kecelaruan dalam masalah ini timbul kerana ulama’ fiqh yang tidak berautoriti terburu-buru memberikan pandangan mereka berdasarkan pengetahuan dan kemahiran mereka yang terbatas itu. Seharusnya mereka dapat menahan diri mereka dari memperkatakan sesuatu yang mereka tidak pasti, dan mengakui keterbatasan ilmu yang mereka miliki. Pandangan yang sembrono ini dapat merugikan umat Islam dan menimbulkan lebih banyak kekeliruan. Mereka juga sepatutnya menghormati pandangan ilmuwan yang lebih berautoriti, dan berwibawa dalam bidang yang lebih relevan iaitu ilmu usuluddin, atau ilmu tawhid. Tidak seperti zaman dahulu, pengkhususan yang menjadi ciri pendidikan hari ini menyebabkan ulama fiqh tidak menguasai dengan baik ilmu usuluddin, begitu juga sebaliknya. Kerana itu penting untuk setiap ilmuwan memahami keterbatasan bidang masing-masing dan menyerahkannya kepada orang yang lebih layak untuk dirujuk. Inilah yang disebut sebagai adab, yang bukan sahaja perlu ada pada penuntut ilmu tetapi juga pada para ilmuwan kepada ilmuwan yang lebih tinggi derajatnya. Jelas bagi saya bahawa kecelaruan dalam masalah ini menunjukkan semakin parahnya fenomena kehilangan adab di kalangan umat Islam tidak terkecuali golongan cendekiawannya. Perlu juga ditegaskan penekanan kepada adab di sini bukan untuk menghalang ijtihad di kalangan ilmuwan tetapi menegaskan peri pentingnya meletakkan sesuatu pada tempatnya. Seseorang ilmuwan yang memberikan pandangan dalam hal yang bukan kepakarannya tidak sama sekali dapat disebut sebagai ijtihad. Pandangan yang diberikan oleh ulama seperti ini sebenarnya bukan ijtihad. Pandangan seseorang ulama dikatakan ijtihad jika ia memiliki ilmu yang mencukupi dalam bidang tertentu dan berusaha dengan sebaik mungkin untuk memahami sesuatu persoalan sampai ke dalam dalamnya, barulah apabila dua syarat ini dipenuhi maka ia dikatakan ijtihad, jika tidak ia hanya boleh dianggap pandangan seperti pandangan orang awam. Hanya ijtihad sahaja yang jika salah sekalipun mendapat satu pahala, sedangkan pandangan yang mengelirukan boleh mendatangkan dosa khususnya apabila pandangan itu diberikan tanpa hati-hati, tanggungjawab moral dan ketaqwaan. Telah banyak pandangan ulama’ besar dikemukakan. Al-Attas sejak tahun 80an, Wan Mohd Nor yang banyak dikutip oleh penulis, dan baru-baru ini Siddiq Fadzil dan Haron Din telah menjelaskan isu ini. Sepatutnya kewibawaan tokoh-tokoh ini sudah cukup untuk menjadi ukuran dalam memahami persoalan ini dan bukan populariti sesetengah orang yang dikatakan ulama’ itu. Isu ini adalah isu Akidah dan kedaulatan Islam. Ia lebih besar daripada isu politik. Perbezaan ideologi politik tidak harus membutakan hati nurani kita daripada mengenali kebenaran. Isu penggunaan nama Allah oleh bukan Islam bagi saya melambangkan betapa seriusnya fenomena kehilangan adab di kalangan umat Islam, tidak terkecuali golongan intelektualnya. Adab di sini bukan hanya suatu sikap yang perlu ada bagi penuntut ilmu kepada gurunya, atau dari orang bawahan kepada orang atasan, tetapi yang paling mendasar adalah memahami dengan baik dan meletakkan sesuatu termasuk diri sendiri dan orang lain pada tempat yang yang wajar dan tepat. Agar yang tidak tahu menyedari ketidaktahuannya lalu mahu tahu dengan merujuk orang yang betul-betul tahu. Kita lihat bagaimana isu ini diperbincangkan tanpa merujuk kepada ilmuwan-ilmuwan yang berautoriti/ berwibawa dalam bidangnya. Ilmuwan-ilmuwan kecil yang cuba ber’ijtihad’ tanpa menyedari keterbatasan ilmu yang dimilikinya. Terdapat ilmuwan yang mencampur adukkan politik dengan urusan agama sehingga kecenderungan politiknya mempengaruhi pandangannya dalam hal ini. Memang tidak mudah menahan diri dari mendapatkan political mileage apabila kemenangan pilihanraya banyak ditentukan oleh undi orang bukan Islam. Kerana itu ulama’-ulama’ muktabar tidak mahu terlibat dalam politik dan kepartian. Ramai juga yang cuba memperkatakan sesuatu dengan merujuk kepada sumber-sumber yang tidak jelas (seperti google, wikipedia dll), dan pengalaman bangsa asing, lalu mendakwa diri mereka tahu sesuatu dan menunjukkan diri mereka faham agama dan menghukum ulama’ yang berhati-hati sebagai kolot, tidak toleran dsb. Ada juga segolongan ilmuwan yang menangkuk di air keruh, ilmuwan palsu yang diangkat kerana rapat dengan penguasa, yang tidak dapat mempertahankan kebenaran ketika ia diserang dari pelbagai penjuru tetapi mendapat pujian dan pengiktirafan atas sesuatu yang bukan hasil usahanya. Jika kita umat Islam sendiri tidak jujur kepada Allah dan diri sendiri, mengapa mengharapkan pertolongan Allah dan ingin musuh-musuh Islam bersikap adil kepada umat Islam. Setelah umat Islam bingung, keliru dan hilang pedoman maka dengan mudah faham-faham asing seperti sekularisme, liberalisme, pragmatisme, sinkretisme, pluralisme agama, neo-sofisme, saintisme, dll memasuki relung fikiran dan jiwa umat Islam. Faham-faham ini apabila telah merasuk diri sebahagian umat Islam akan menyebabkan mereka hilang keyakinan terhadap kebenaran Islam, skeptis terhadap Islam, merendahkan dan curiga terhadap para ulama’, bahkan tidak jarang juga yang memilih untuk menjadi ateis, agnotis atau murtad. Di sinilah tragedi bermula dan semuanya berpunca daripada kegagalan kita bersikap adil dan beradab terhadap Allah, agama-Nya dan diri kita sendiri. ** Penulis merupakan Felo Penyelidik di Institut Alam dan Tamadun Melayu (ATMA), Universiti Kebangsaan Malaysia. Al-Attas, Syed Muhammad Naquib. Islam dalam Sejarah dan Kebudayaan Melayu. Bangi: Universiti Kebangsaan Malaysia, 1972. Dan syarahan beliau sepanjang penulis berguru di ISTAC. ________. Islam and Secularism, diterbitkan oleh ABIM pertama kali pada 1978. Kuala Lumpur: ISTAC, 1993. ________. Prolegomena to the Metaphysics of Islam: an Exposition of the Fundamental Elements of the Worldview of Islam. Kuala Lumpur: ISTAC, 1995. Al-Ghazali, Abu Hamid. al-IqtiÎÉd fi al-I‘tiqÉd. Beirut: Dar al-Kutub al-’Ilmiyyah, 1983. Ibn Taymiyyah, Ahmad Abd al-Halim. Majmu’ Fatawa Ibn Taymiyyah. Kaherah: Dar al-Fikr, 1983. Khalif Muammar. Atas Nama Kebenaran: Tanggapan Kritis Terhadap Wacana Islam Liberal, cetakan ke-2. Bangi: Institut Alam dan Tamadun Melayu, 2009. Wan Mohd Nor Wan Daud. Masyarakat Islam Hadhari: Suatu Tinjauan Epistemologi dan Kependidikan ke Arah Penyatuan Pemikiran Bangsa. Kuala Lumpur: Dewan Bahasa dan Pustaka, 2006. Juga perbincangan peribadi dengan beliau yang dilakukan hampir setiap hari. 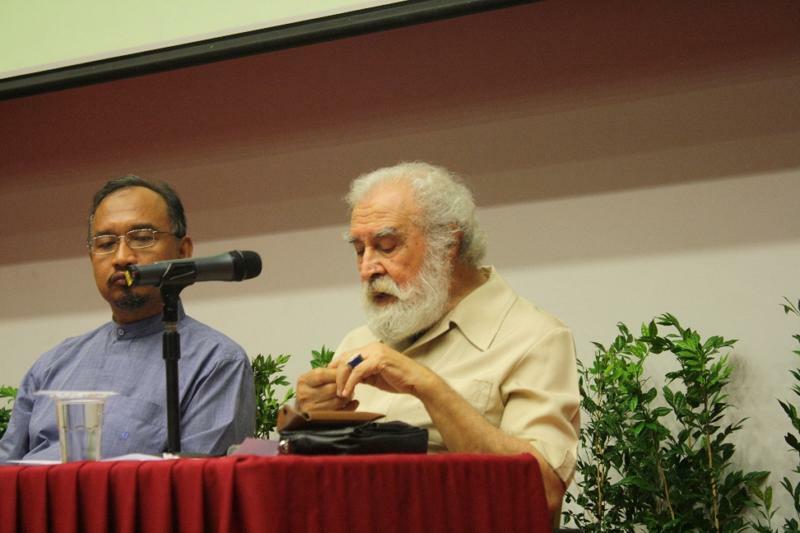 On December 13, 2009, during the Worldview of Islam Seminar organized by the Assembly of Muslim Intellectuals or Himpunan Keilmuan Muda (HAKIM), there was a question being posted to Professor Al-Attas regarding the polemical usage of the word “Allah” by the non-Muslims. Below is the transcript of his brief-but-yet-concise enlightening remarks. As a word of caution, though, one must not only rely on this brief transcript alone to understand the whole spectrum of Prof. Al-Attas’ view about this theological matter. Further thorough elucidation of his thought can be found in numerous works of this great Muslim scholar of this age, such as Prolegomena to the Metaphysics of Islam, Islam and Secularism, Islam dalam Sejarah dan Kebudayaan Melayu and A Commentary on Hujjat al-Siddiq of Nur al-Din al-Raniri. So in this particular respect, we have to be clear about this, not was-was (hesitate)…whomever responsible in our governing, they have to be clear about this and to explain to others. They (the Muslims in Indonesia) seem not to bother about this. What we can say is that ultimately well they say “God is not Allah”…well if you want to use the word God, we are saying we also use the word God, we refer to Allah as we know and we are not saying that your God ultimately will not refer to Allah. You can’t run away from Allah. You can only escape Him and so in the Qur’an (surah An-Naas) says: “Qul aAAoothu birabbi annas, Maliki annas, Ilahi annas”. He (Allah) is saying “ I am the real Ilah (God) of naas (mankind)”, although mankind (non-Muslim) does not interpret it that way.